Summary: Medically verifying the miracle described in Mark 8. PREMISE: Jesus really healed a blind man as described in Mark 8. PURPOSE OF ARTICLE: To offer medical evidence for one of Jesus’ miracles. Among all four Gospels, this is a unique healing account. But what is going on here? 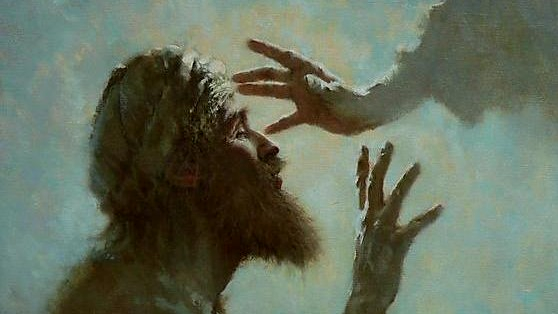 Why is the man unable to perceive objects clearly after Jesus touches him the first time? Did Jesus make a mistake the first time, thus necessitating a second healing? Not so. It turns out that this miracle account offers proof of Jesus’ healing power. 1. Modern optometry verifies this miracle. Thus, the Mark 8 account can be supported by modern medical research. If Jesus and the man at Bethsaida faked this healing, how would the man know about post-blind syndrome and use language reminiscent of what today’s patients use after eye surgery? Jesus likely performed this miracle in two stages to prove that it was legitimate. And given that first-century Jews would not have understood the medical ramifications of this passage, why would Mark have kept it in, unless it really happened? 2. This miracle teaches us a lesson. There may be another reason for the strange nature of this miracle: it is didactic, teaching us a spiritual lesson. Just before the miracle, Jesus warns his disciples about “the leaven of the Pharisees and the leaven of Herod” (Mark 8:15). They do not understand what he is saying, and he rebukes them: “Do you not yet perceive or understand? Are your hearts hardened? Having eyes do you not see, and having ears do you not hear?” (vv. 17-18). Here, Jesus is making a point: it is possible to have physical eyes but not have spiritual eyes. In other words, it is possible to “see” but not truly see, to visually take in the natural world but not understand the spiritual things of God. And what better way to illustrate this than through a real-life example, provided through the Bethsaida miracle? Nothing in the Bible has been placed there by accident. Every letter, phrase, and detail has a purpose, and if we, like the blind man at Bethsaida, ask God to open our own eyes to see, we can truly understand what those purposes are. In this case, science once again proves the Bible. Sacks, Oliver. An Anthropologist on Mars: Seven Paradoxical Tales. New York: Knopf, 2012. Print. Great article, Vinh. Like An, I was moved by the thought of living life without the ability to perceive the spiritual realities of it all. What a sad and hopeless state for many, but praise God for the miracle of spiritual sight. It was well put in this line, “it is possible to “see” but not truly see, to visually take in the natural world but not understand the spiritual things of God.” Be faithful, dear brother! Thanks, Pastor Frank! I really appreciate your encouragement. It is certainly very sad to see spiritual blindness abounding in the world, but it makes the gift of salvation all the more precious for us as believers. Keep up the good work that you’re doing, as well! Love how even medicine proves the Bible … Keep up the good work, guys!! Very insightful, Vinh! I like how you reference the medical account to prove that Christ’s healing of the blind man was indeed a reality. The underlying message of this Scriptural passage really hit close to home. To be physically blind is terrifying, yet it is much worse to be spiritually blind. What a shame it is to miss out on the benefits of God’s Word due to a hardened heart. If we could just ask God to open our spiritual eyes! Thanks again for sharing this powerful truth. You truly are a blessing! Thank you, An! So encouraged to read this, and yes, this story has so many timeless truths for us to learn from. Keep walking with the Lord!